My husband handed me this recipe from a magazine. It made my mouth water so I tried it and took it to a picnic. One piece remained on the plate when we came home. Guess it was a hit. Combine flour and next five ingredients (flour through salt). In separate bowl, combine coconut milk, oil, eggs, vanilla, and orange juice and rind. Pour into dry ingredients and mix until smooth. Pour into prepared pan. Bake 35 to 40 minutes, until a toothpick inserted in the center comes out clean. Let cool completely before removing from pan. 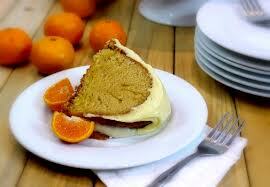 To prepare glaze, whisk together powdered sugar and orange juice. If there are little lumps, let glaze sit 30 minutes, until they dissolve. Pour glaze over completely cooled cake. Sprinkle coconut chips on top, if using. Serves 20.